Alexander Lukashenko - Soviet-Empire.com U.S.S.R. Currently relations between Belarus and Russia have collapsed. This was over gas sales by Russia. Belarus has been trying to develop links with the EU as an alternative. The result of this has been very little because few are willing to court his government. Lithuania and Belarus have a relationship. The former is something of an intermerdiary between the EU and Minsk, however it has been criticised for this role. Belarus has privatized since the collapse of the Soviet Union but not as much as the other former republics. Wikipedia says that Lukashenko wanted to create "market socialism" instead of "wild capitalism" like Russia. Belarus also has good relations with socialist countries like Cuba and Venezuela, and Lukashenko is supported by the Communist Party, the Agrarian Party, and the Belarusian Socialist Sporting Party. There's also a book about Belarus i've wanted to read called "The Last Soviet Republic: Alexander Lukashenko's Belarus". Belarus also has good relations with socialist countries like Cuba and Venezuela, and Lukashenko is supported by the Communist Party, the Agrarian Party, and the Belarusian Socialist Sporting Party. There's also a book about Belarus i've wanted to read called "The Last Soviet Republic: Alexander Lukashenko's Belarus". I've added this book to my Amazon wish list...although the reviews seem pretty mixed on it....anyone know of any other books on Lukashenko? The Belarussian Communists support him, that alone says a lot about him. Of course he is not "democratic" in the Western defenition of the word, but just take a look at the "democratic" countries of Eastern Europe.... thank god Belarus is not "democratic" then. He has maintained several social policies of the USSR, for which I am very grateful to him. So maybe he's not a "full" Socialist leader, but I absolutely support him. Uh... just another social democrat? Belarus has not by any means anything to do with communism. And no, it is entirely irrelevant whether the "communist" party supports him. Lukashenko describes himself as some kind of socialist, not a social-democrat, but neither as a Marxist. But along the line of Marxist-socialism. I am not anti-American. But I am strongly pro-Canadian. Wherever I look in the ex eastern bloc I see the same thing. From ΚΠΡΦ, with its pro-orthodoxy views, alliances with the nationalists, views of the USSR as an "empire" that continued the tsarist tradition, and not socialist as we mean it, to this fella -lukashenka- or other offsprings of real socialism (causesku for example) i tend more to consider the term "social-fascism", coined by the maoists I think, though Im not one, nor I really use such terms in viewinf the soviet era. Even though I don't really see it this way, such examples make me wonder how itis possible the degeneration of the communist movement to endup in such a post-soviet, communists or "communists". On Marxist terms, you can think of Lukashenko as more of a fire fighter than an ideological leader. When socialism is deteriorating, a Marxist would and should for practical purposes support an available candidate that slows the decay of socialism, and therefore is preventing the acceleration of capitalism ala Poland. Hi. Please try to avoid one-liners in the future. They rarely contribute anything to a discussion. Thanks. Spets. 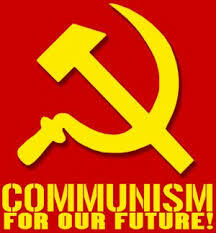 Well, we communists must support any leader that espouses Marxism-Leninism and adopt it for their economy. Imagine the situation if Cuba becomes the only communist country in the world. We'll 'run out of bullets', baby!